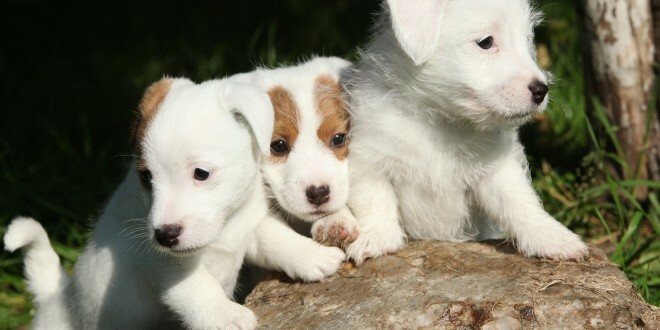 Socialization is one of the most important things you can do for your Jack Russell puppy. Introducing him to the world in a controlled environment is key to raising a well-behaved, happy and friendly dog. 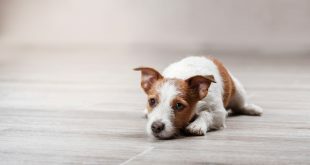 Socializing is familiarization of your JRT puppy with different people, children, other dogs, animals and getting them used to all kinds of environments, sounds, smells and situations. But be aware that bad socialization is worse than no socialization at all, because it leads a puppy to become fearful, shy or aggressive, or maybe all of these. Bad socialization also includes non-intended bad socialization, or, in other words, good intention isn’t a guarantee of good socialization. For socialization to be successful it needs to be done in a proper way. 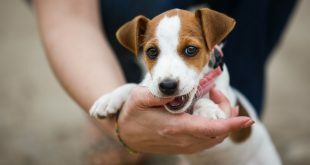 I suppose you have read something about your little Jack Russell or you are experienced owner and you are aware that raising this small dog is a big challenge. They require a lot of socializing, regular training, patience and consistency, maybe even more so than some other breeds because of their endless amount of energy. How to socialize a JRT puppy? If you follow the tips and reminders below there is a great chance for you to succeed and enjoy positive consequences for the rest of your dog’s life. • Meet calm people, energetic people, loud people, but all positive toward dogs! • Meet different dogs—puppies and adults, small and big dogs, hairy and short-haired dogs, but all puppy-friendly dogs! Maybe at this time this list seems long, but these are all just everyday life situations with the accent on positive, and always be mindful that you are doing this for the dog’s good and for your own good. As you probably took your puppy from its litter when it was 6 to 8 weeks old, you have less time to socialize and you have to put more effort into it. This is even more important if your puppy wasn’t socialized or was poorly socialized in the litter. In this period you’ll build foundations for your dog’s personality so be sure that all situations and experiences are positive. If your puppy faces only positive encounters it is more likely that he will grow into a fearless and friendly dog. Of course you have to ensure that your puppy has as many positive encounters as possible even after this period because his personality is developing all the time until he is about one year old. Without proper socialization a puppy is more likely to grow into a shy, anxious, fearful and possibly aggressive dog which doesn’t have happy and positive life. 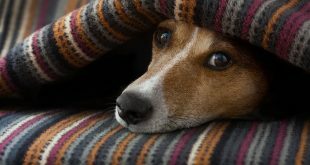 Anxious, fearful and aggressive dogs are more unpredictable than well socialized and trained dogs, so they are more likely to be abandoned. When my little JRT puppy arrived home, I was more than happy, she instantly became the center of my world. I took her everywhere where dogs were allowed to go. She went with me (and still goes) to the office, when meeting with my friends, and to visit family. I knew that, this way, she would be introduced to adults of different ages, older people, children, both toddlers and older children, teenagers, to calm people and some loud people. One thing they all had in common was that all of them love dogs and most of them have their own dogs which are all good and friendly dogs. That was a great way to start introducing her to the other dogs before she was fully vaccinated. I always had at least one eye on her, monitoring that she was behaving well and to be sure that she was happy and relaxed. On signs of her being tired I either put her in my lap so she could have a nap or we went home. After she had been fully vaccinated we started exploring the outside world and meeting other people and dogs that seemed friendly and also we signed up for a socialization class. As we did everything stated above, she grew into a well-behaved, trusted and friendly dog that I could take anywhere. That was exactly what I imagined from the moment Kala entered my life. If you’r interested you can read more about potty training for Jack Russell puppies in my article. Regarding ear hanging, that is normal puppy behavior but you should stop it as soon as you see your older dog had enough or he’ll do it on his own. That’s just setting limits. When you stop unwanted behavior, implement some new wanted behavior and reward it. Especially for such high energy breeds, it’s important to give them some desirable things to do. Although Jackapoos are really cute and I think you ended up with a better combo, maybe just more challenging. We have a 10 year old male JRT (human years) and he is still very active. We are bringing home a 6 week female JRT? Any advice on how to introduce the puppy and keep the adult off of her? Hi Marian, most of the times introducing a new puppy to the older dog doesn’t go that smoothly we hope it would. Most likely he will growl at her at some point, but he’ll be teaching her boundaries. So supervise their interactions, get your puppy used to crates and crate her while unattended, give your older dog a break when you see he had enough, reward behaviors you like and don’t punish. Good luck with your new family member. Hi Bobby, lots of people have the same problem and here’s one really short advice as to answer it completely I’d probably need at least one big blog post, but I just scheduled it. Teach him not to jump when you or others come in. All household members should behave toward him in the same manner. If he starts jumping on you just ignore him completely and slightly turn away from him. When he gets off, especially if he sits, tell him hello and praise him. The point is to ignore and stop unwanted behavior and praise and give attention when he’s doing something you like. When he learns how to say hello to you, you should learn him to remain calm when someone rings a bell and incorporate the same tactics when you want him to connect learned behavior with other people. And tell your guests to remain calm when they enter and praise him only when he remains calm. Hey very cool website!! Man .. Excellent .. Amazing .. I’ll bookmark your blog and take the feeds also. I am happy to find a lot of useful information here in the post, we need develop more strategies in this regard, thanks for sharing.